In this week long workshop, you will have fun expressing your emotions and creating a new mood out of clay. 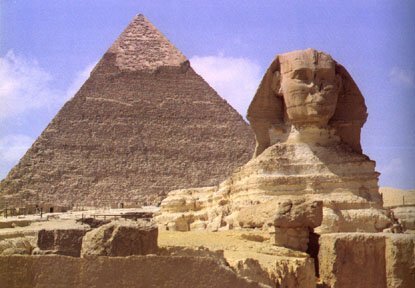 Egyptian art -Explore the art of Ancient Egypt . Create a mini pyramid, a sarcophagus, or use hieroglyphics to decorate a vase or mug. Don’t forget to bring a snack and a drink. You might want to bring a friend as well. Molly Hendricks Rowland recently returned to Falmouth after spending several years teaching in Natchez, Mississippi where she received the Mississippi Teacher Fellowship. While in Mississippi, Molly received her Masters of Education in Art from Mississippi College. There her focus of study was a combination of sculpture and art education. Molly also received her Bachelors of Fine Arts from the University of Massachusetts, Amherst in art education with a focus on painting and art history. Currently Molly is teaching art in Bourne, and lives in Falmouth with her husband and two children. Molly has many years of teaching experience and loves working with students of all ages.